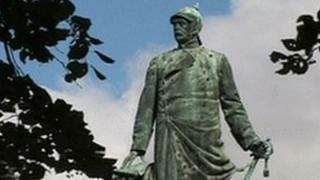 The German Chancellor, Otto von Bismarck, introduced the world's first state pension system in the 1880s. You had to be 70 years old - and the expectation was that you would probably only live a few years after that to collect it. But in 1916, they lowered the pensionable age to 65. It has remained at 65 for almost a century and it will take a brave government to juggle with the political sensitivity of raising that age again. "It is a part of our political system and we pay for it - the employees, the employers and the state," says Wolfgang Wippermann at the Berlin Free University. "They have to continue with this, otherwise there will be a revolution of the pensioners." But nine out of 10 old people around the world do not have a pension. And for many of those lucky one-in-10 who do, these are worrying times. Sinking portfolio values and demographic changes are forcing cash-strapped governments to consider fundamental reforms. Bismarck designed the system in 1881 and it came into force at the end of that decade - in a very different world from the current one. Old people are living longer than they were 50 years ago, so governments have to pay out more in state pensions. What makes things worse is the fact that there are not enough young people to pay the taxes necessary to provide those pensions. Today there are four working Germans paying the pensions of every retired person, but by the time today's youngest workers retire, there will be only two. Young people in Germany are concerned that there will be no provisions for them by the time they retire. "The government tells us that the pensions system is not working and we have to make our own arrangements for old age," says entrepreneur Guner Zerowsky. "Ten years ago, I would not have given it any thought," he says, "but things are different today." His business partner Dorothee Booth feels that the government has let them down. "They were saying 20 years ago that it was not going to work, so they should have done something about it earlier," she says. Many people face the prospect of having to work until they die. Not everybody is so gloomy about the future prospects, however. "So many people are leaving the labour market and fewer people are available to take their place, so there should be full employment by 2025," says Ulrika Herrmann of the Tageszeitung newspaper. "Right now we have the problem that the baby-boomers are still working and at the same time you are supposed to find work until you are 67 - and that is simply not possible," she insists. About eight million people are unemployed in Germany, but many of them do not appear in the statistics, which officially show unemployment at 7% of the workforce. The thought is that if the unemployed find work, they no longer have to be paid benefits and that money can be used to pay state pensions. "All European countries are faced with the same problem," Ulrika Herrmann says. There are a lot of people hoping she is right, because Bismarck's pension scheme seems to be coming apart at the seams, and it will take more than a sewing machine to repair it.